I’m probably like most Americans: confused. On one hand, I look at the pictures of the victims in Syria, not only the dead and injured from the chemical weapons attack, but also those in refugee camps or living in caves and wonder why the world can’t do anything to help. On the other hand, there is a seemingly intractable diplomatic stalemate and no one wants “boot on the ground”. So what to do. Is this a signal that the United States should wait to take action? Is Putin ready to compromise – or at least to talk? The problem is that we were lied to once, told that there was intelligence that proved there were weapons of mass destruction in Iraq and even though some of us may want to trust Kerry, it is hard to do so even with the level of specificity in the summary report he released. As to allies, the British Parliament has voted not to participate in any military action and French public opinion is also against. The Arab League has said that while they think Assad used chemical weapons, they can’t support any military action. The public here is lukewarm at best. This is not Libya. In Libya there was a recognized opposition which had actually established a shadow government with diplomats working with the European Union, Arab League and the United States. We know that when she was Secretary of State, Hillary Clinton tried hard to get the opposition in Syria to form a similar government but was unable to do so. The situation is that someone, most likely the Syrian government or someone fighting with the government, has used chemical weapons on the civilian population. (I think we can trust Doctors Without Borders when they say they were used.) This use goes against what 99% of the world’s people believe is right. A large, but so far not a majority, of members of Congress think there should be a debate and resolution under the War Powers Act. I know that Kerry and the President both believe they have already followed the Act by consulting with Congress. It is up to John Boehner and Harry Reid to call Congress back for a debate and not just a consultation. The question now is whether Obama will act before they can do so. The summit for the G20 is next week. Will the missiles fly before then? The UN inspectors have left Syria. Have they been told an attack is imminent? I’m not sure that I agree with Bob Dreyfuss who called the President a “schoolyard bully” but there is a great deal of irony in seeing two men who made their reputations opposing war now trying to justify military action. Let’s say the President waits a week. He can talk to folks at the summit. 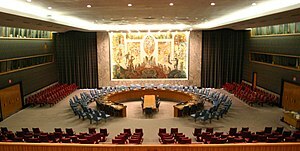 The UN Security Council can talk some more. Congress gets back into town and holds a debate. I don’t see that anything is lost. The Syrians have all ready evacuated areas and moved military assets so maybe we don’t need an actual strike with the potential for civilian casulties. Plus we don’t really know all the consequences of a strike. More acts of terrorism in the United States? More chemical attacks on civilians? A wider conflict? An excuse for the Republicans to try to impeach him? There are a lot of negatives and unknowns to military action, but I haven’t heard a credible alternative either. I can only hope that the President, who says he hasn’t made up his mind yet, thinks about this a bit longer. Maybe he is actually like the rest of us – wanting to do something, but not sure what the something should be. All the more reason to wait. This entry was posted in Congress, Obama Administration, Politics, War and tagged Bashar al-Assad, Chemical Weapons, Congress, John Kerry, Politics, President Obama, Syria, United Nations, Vladimir Putin, War Powers Act. Bookmark the permalink. It’s not irony that Obama was once humane and is now ready for military action: it’s hypocrisy. And it was not deliberate, deceptive and fraudulent for him, or for Kerry, to oppose war, but, rather, how Washington has infected them, and insulated them from ideas which once were native. At $1million per missile (to Raytheon, hardly a peace-monger), we stand to spend far more on punishing a regime largely immune to punishment, and already insulated by Putin, et.al., than we might in embarrassing that regime by helping their victims. There is every reason for the Saudi’s, the Jordanians, and even the Turks to support high visibility refugee centers, where “visitors” might eat well, live well, have good health services and decent multicultural schools, for an awful lot less money than a spurious war. Why do we not create camps of safety zones – I’d call them MLK Camps of Non-Violence – to mortify evil while celebrating the survivors?